While we’re all focused on the ‘Trifeta of Scandals’ as well we should be, lets NOT forget all that’s happening in the Middle East because to do so…to look away…might come back to haunt us in the end. NO they are NOT for the problem with Assad’s thinking is simply that Israel has NO interest in toppling Assad’s government as Israel has the sense to know that the rebels are being aided and funded by al-Qaeda…meaning Iran…the very country that has sworn to wipe them off the map. And in NO way would Netanyahu ever deal with or aid and abet the enemy…something Barack HUSSEIN Obama does on a daily basis. And now Russia has once again entered into the mix…NOT that they ever really left…and in a show of outward support for Assad, Russia has sent advanced anti-ship cruise missiles to Syria, even after Netanyahu recently met with Russian President Putin to ask him not to arm Syria with those missiles, Putin did it anyway. These Yakhont missiles can reach a distance of over 180 miles (well into Israel) and are equipped with an advanced radar anti-ship missile system that would allow Assad to hold off a naval embargo or a no-fly zone placed on his country. Adding to this is that each missile has its own individual radar to help evade a ship’s defense system and they're mobile, making them difficult to target and take out. Also to stir up the pot even more, Russia has sent a dozen warships to patrol waters near its Syrian naval base, hoping that sends a powerful message to the US and Israel NOT to get involved in Syria's affairs. 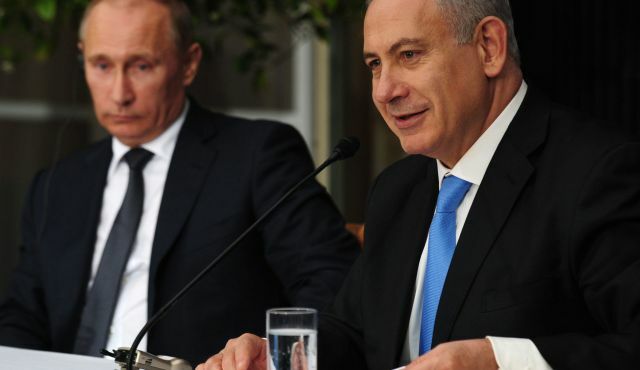 And Israel knows very well that the weapons Russia supplies to Assad could very well end up in the wrong hands, and be used against them by the very rebels Assad accuses Israel of aiding. These developments led Israeli Justice Minister Tzipi Livni to tell Israel’s Army Radio that “These are not just any weapons, they are tie-breakers, and that’s why there is a responsibility with all world powers, certainly Russia, not to supply such arms,” adding that Israel had the right to defend itself. And the US response to Putin sending those missiles to Syria was that it could embolden Assad’s forces and prolong the conflict. “It’s at the very least an unfortunate decision that will embolden the regime and prolong the suffering, so it’s ill-timed and very unfortunate,” said General Martin Dempsey, chairman of the Joint Chiefs of Staff. 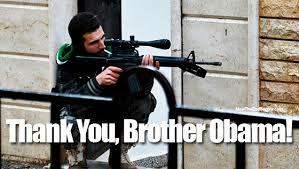 A response that is just talk…just words…just more Obama empty rhetoric. Netanyhu’s response was more direct and to the point as he made it very clear that Israel will prevent advanced weapons from being sent from Syria to Hezbollah in Lebanon. Saying, “The Israeli government is acting in a responsible, determined and level-headed manner in order to guarantee the safety of the citizens of Israel,”…”in accordance with the policy we have set of preventing as much as possible the transfer of advanced weapons to Hezbollah. 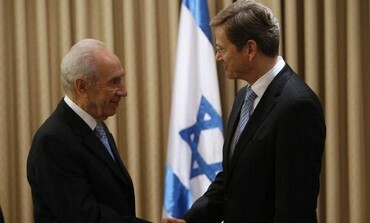 We will continue to guarantee Israel’s security interests,” he reiterated. As we know he will. But the simple fact that Assad just doesn’t get is that Israel has NO interest or intention in getting involved in Syria’s civil war and would only attack as a last resort, as in if Syria crossed Israel’s ‘red line’ regarding a weapons transfer to Hezzbolah. 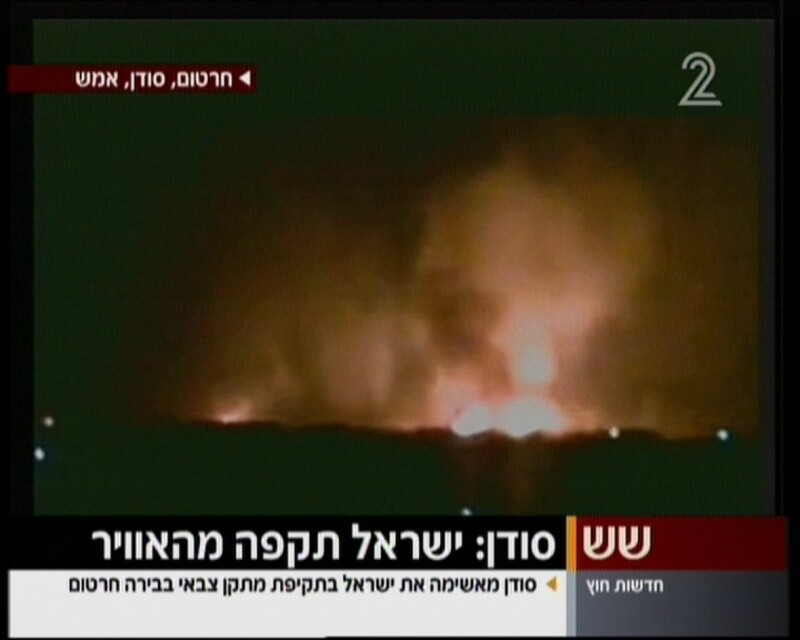 And this is why Israel recently bombed a weapons storage facility in Damascus, because their intelligence reports indicated the facility housed advanced missiles with the ability to hit Tel Aviv, and that they were ready to be transferred to Hezbollah. 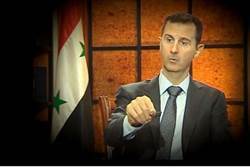 And while Assad said he would retaliate and issued a statement through Syrian information minister, Omran al-Zoubi, saying that his troops have the right to enter the Israeli-occupied Golan Heights whenever they wish in response to those air strikes, it does NOT appear to be happening as Israeli intelligence does NOT show Assad having moved any weapons or forces anywhere near the area. And Assad might be hesitant to open yet another front against Israel with his army already stretched thin in his fight with the rebels. 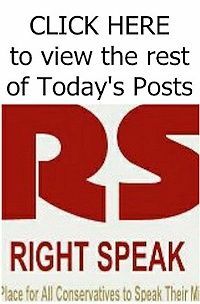 So while on the surface al-Zoubi's statement appears as just a veiled threat to Israel to stay out of Syria’s conflict and nothing more, it’s important to remember that Assad has a history of operating through proxies, such as Hezbollah and other radical Syrian-based Palestinian factions, that could very well launch attacks on Israel from the Golan Heights. But, and this is critical for both Russia and Assad to remember, Israel stands by its ‘red lines’ and this ups the game and makes Israel a force to be reckoned with for Israel will NOT go down like a sheep to the slaughter at the hands of Syria, Russia, or her assorted other enemies. A US/Russian planned peace conference is scheduled for next month but will most likely amount to NOTHING, as the rebels insist on a promise that Assad will step down and Assad insisting he does NOT negotiate with terrorists, which is what he calls the rebels. So the fighting will continue and Israel will still be on the fringe of the fighting, waiting to be drawn into a war they really want NO part of. And our muslim sympathizing, anti-Israel president Barack HUSSEIN Obama is seriously considering getting us involved in Syria’s civil war by arming the al-Qaeda supported rebels, and former National Security Adviser, retired Marine General James Jones agrees, showing just how far we’ve fallen under this administration...fallen so far that we would even consider arming a group with ties to al-Qaeda. Nothing like going against Russia and stabbing Israel in the bank in one fell swoop but this is classic Obama and could very well come back to haunt him, for the ghosts of four Americans hang over both Benghazi and his already illegally done (in my opinion) gun running operation to Syria as well.